Teacher Sammie has been singing for as long as she can remember. 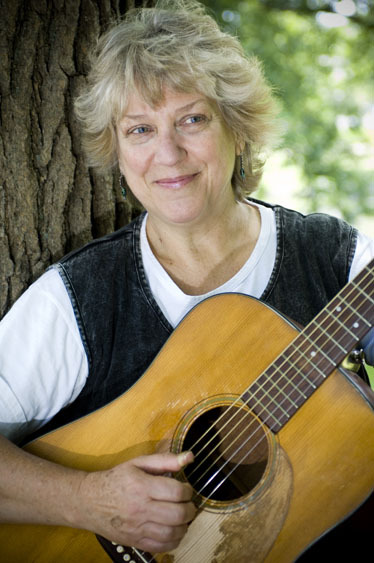 Her music has taken her from singing on her backyard swingset with neighborhood friends to performing as a solo folk music artist as well as in duos and bands with her husband, Cormac McCarthy and MAINESQUEEZE, to children's music all around the country. While she still performs in other musical areas, children's music is her passion. She loves the sound of children's voices and seeing the delight on their faces when they dance and make music! She has received several children's music awards for her recordings and in addition to performing she directs The Treetops Chorus, choruses for children ages 5-7 years old in public and private schools. Sammie is the Director of Treetops Music and the Music Together® classes in South Berwick and Wells, Maine and Exeter, NH. Copyright © 2019 Treetops Music. All rights reserved.